This article was originally published by War is Boring on 3 October 2016. Long before the debacles of the wars in Afghanistan and Iraq, Somalia was the quagmire that Western militaries would have loved to strike from their records. In the now-famous Black Hawk Down incident in 1993, overconfident U.S. forces blundered into an ambush in Mogadishu. Eighteen American soldiers and two troops from the supporting U.N. force died. The West retreated from Somalia. 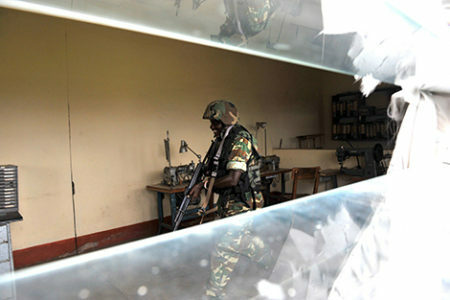 To fill the security vacuum, the African Union deployed a peacekeeping force from 2006 onward. The AMISOM peacekeeping force relies to a great degree on material and financial support from the United States and European allies, whose interest in the Somalia conflict increased again when Islamist groups gained influence in the country. But the memory of the 1993 battle complicated direct intervention by Western militaries. Gradually and quietly, this has begun to change. Al Shabaab, the most powerful Islamist group in Somalia, aligned itself with Al Qaeda in 2012. But in contrast to the globally-oriented Al Qaeda, Al Shabaab has focused on military and political objectives in Somalia and neighboring countries, demonstrating a nationalist brent that the broader Al-Qaeda movement lacks. Nonetheless, the U.S. military has conducted drone strikes on Islamist militants in Somalia since at least 2011. But lately, American intervention has escalated. Both the frequency of — and casualties from — U.S. drone strikes in Somalia increased dramatically. No fewer than 194 people have died in American drone strikes in Somalia as of September 2016. That’s a tenfold increase over 2015, according to the United Kingdom-based Bureau of Investigative Journalism. The U.S. military and intelligence services have also deployed manned warplanes from bases in Ethiopia and Djibouti, as well as from ships at sea, in order to strike targets and collect intelligence. American and British commandos have been active on Somali soil since at least 2007 — and probably as early as 2003 — for individual reconnaissance and kill-or-capture missions. As with the drone strikes, ground activity has increased markedly in recent years. In addition to unilateral missions aimed at high-value targets, U.S. Special Operations Forces have been embedding with Somali and Ethiopian troops as “advisers” — and have even found themselves in gunfights with Al Shabaab fighters. 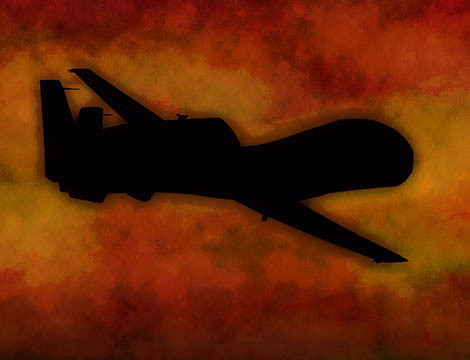 This practice seems to have begun in earnest in 2015, when Pentagon press releases began to refer to “self-defense strikes” by drones and other aircraft in support of U.S. troops and their allies after they had come under fire. This choice of words is not without its ironies, as a close reading of these reports makes clear that in most — if not all — cases, U.S. troops were involved in offensive missions, where return fire was practically guaranteed. The United Kingdom has expanded its involvement in Somalia. It currently stations 65 soldiers in Mogadishu as advisers — and plans to double that number, Prime Minister Theresa May said in September 2016. Other European nations are also active in Somalia, training Somali soldiers within the framework of an E.U. mission that began in 2010 and currently includes 195 troops. The E.U. mission has expanded in recent years, and recently moved its headquarters from Uganda to Somalia itself. Western militaries could further grow their footprints in Somalia in coming years, potentially including more active involvement in combat operations. This is not necessarily by choice, either. The fact of the matter is that AMISOM, while initially successful in pushing back Al Shabaab, has struggled recently. Al Shabaab has lost control over most major towns in Somalia, but remains dominant in large swathes of the countryside. The group is conserving its strength by avoiding direct confrontation with AMISOM wherever possible. This strategy has paid off for the Islamists. AMISOM forces are overstretched and susceptible to devastating raids on their isolated camps and supply lines. The A.U. mission has lost hundreds of soldiers in such incidents since 2014. 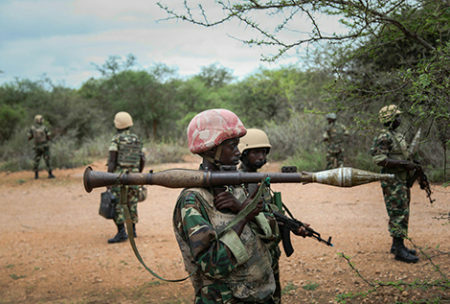 Other external forces have sapped AMISOM’s strength. Burundi is embroiled in a domestic crisis bordering on a civil war. Uganda is preoccupied with its interests in South Sudan, where it has intervened militarily. Ethiopia has suffered massive popular protests that the government has suppressed with a huge military deployment at home. At the same time, Ethiopia must guard its borders with Eritrea and South Sudan. This may have been a factor in Ethiopia withdrawing troops from several Somali town in September 2016. Al Shabaab promptly recaptured the communities Ethiopia abandoned. The United States and the European Union have been loath to provide further financing and support for certain AMISOM partners. Both Burundi and Uganda have recently held highly contentious and fraudulent elections marred by violence. AMISOM provides funding and training to the militaries of both countries. While the West and AMISOM recently reached a compromise on payments to the A.U. force, Western governments probably wish that they could rid themselves of the burden of having to cooperate with some of the more questionable governments in the region. But as it stands, Somali forces are by no means capable of asserting the government’s authority over Somalia’s territory. Because past efforts have failed to bring Somali security forces up to an acceptable level of capability — and because AMISOM cannot be relied upon to continue the job on its own — Western militaries will have to fill the void if they don’t want to see all the gains they’ve achieved in Somalia recede before their eyes. With Somalia’s second presidential and legislative elections of the past three decades coming up later in 2016, many more American and European soldiers could find their way to Somalia.